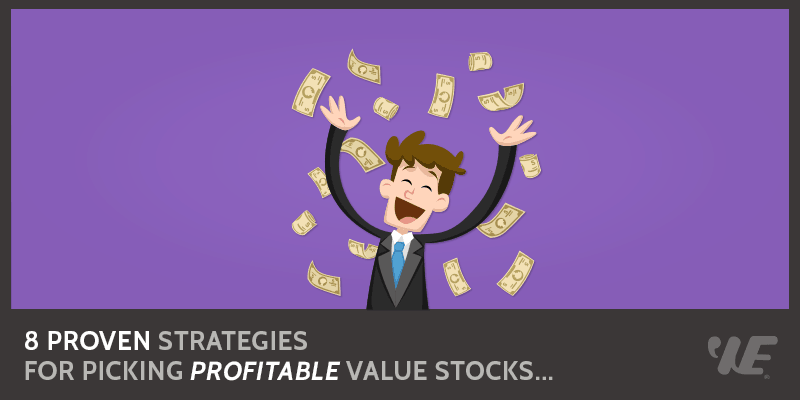 Value Investing Strategy That Works For You! Free Investment Checklist:﻿﻿﻿﻿﻿﻿﻿﻿﻿﻿ Coming soon...! If you want to develop a value investing strategy that offers the best chance of profiting from healthy returns over the long run, you would be well advised to learn from the best. Widely considered to be one of the greatest value investors of all time, Warren Buffett provides the perfect example of someone who has made a habit of beating the market more often than not. In studying the words of investing wisdom offered by both Warren and his mentor, Benjamin Graham, we can summarize in eight key points the advice that will help you to develop a timeless, winning philosophy like Warren Buffett’s, and to become a better value investor. The first point you need to acknowledge is that value investing is not gambling, and you should approach it with a full understanding of exactly what type of investor you are. Discovering whether you are an active or passive investor will offer you some initial direction in your investment strategy, and will help you to avoid taking unnecessary risks through ignorance. You can choose to actively commit a significant amount of time and effort into researching potential investments in order to achieve maximum returns, or you can decide to follow a more passive strategy, such as buying index stocks for example, and be content with less dramatic returns. Understand that the more work you are willing to put into your investments, the higher returns you can expect to receive. But in either case, Warren Buffett advises that a certain amount of effort and knowledge is always necessary in order to benefit from even the most average returns. Far from being a guessing game or a gamble, value investing is work. You cannot succeed in the stock market if you don't understand exactly what you are doing. When you implement a value investing strategy, it’s important that you always give yourself an effective margin of safety by only buying stocks that are selling for significantly less than their intrinsic values. Not only will buying discounted shares in stable, financially strong companies increase your chances of seeing higher returns over the long-term, it will reduce your risk. When you buy into a company whose liquid assets are worth more than the value of all its debt and shares put together, it provides you with a measure of safety should that company ever collapse and be forced to pay out its creditors and shareholders. In determining how to calculate a margin of safety, Benjamin Graham taught Warren Buffett that owning shares in businesses that are selling for much less than they’re worth is the foundation of value investing success. When researched and identified with care, these companies rarely decline further once they’ve become significantly undervalued, which leaves their stock prices with nowhere to go in the future, but up. Always use a margin of safety to make sure that you are buying a stock at a discount price. When a business is cash rich, it means it always has abundant funds left over after paying all of its debts and expenses. It also means that its assets are liquid enough to be called upon should they ever be needed as an extra source of cash. You should always make a point of investing in companies that have a strong cash position, because they are the ones most likely to pay regular dividends to their shareholders. At the same time, these businesses are far less likely to ever find themselves so strapped for cash, that they are unable to service their debt loads when revenues dip or a recession hits. Warren Buffett’s value investing methodology tells us that we should look for cash rich businesses, with a long and uninterrupted history of dividend payments that have continued to increase through thick and thin. Always look for cash-rich businesses, with a long history of stable dividend payments. While it’s true that a debt-free company will never go bankrupt, you’re unlikely to find any well-established business that doesn’t carry some level of financial liability. In fact, a little debt can be a good thing when it helps to provide the funding for business growth and expansion, since this type of activity tends to raise the overall value of a company. But that doesn’t make it acceptable to invest in a business that’s carrying a large debt load, since it’s very easy for a company to get into trouble once it overextends itself financially and is no longer able to service or repay its loans. Buffett’s ideology indicates that seeking out businesses with low debt loads, and a reliable track record for repaying their debts, is the preferred approach in value investing. Remember that when you buy shares in any company, you are effectively lending that company your own hard-earned money. Always look for businesses with low-debt loads, and a strong debt repayment capacity. In many cases, a company is only as successful as the people running it, and a big part of value investing is making sure that the business you buy into has a reliable, experienced, and forward-thinking management style behind it. One of the key factors in determining whether or not a business is on top of its game is to have a look at what gives it its competitive edge in the marketplace, and whether or not its management team has an ongoing plan in place for making the most of this competitive advantage. This means that management is not only acknowledging the competitive challenges that constantly threaten their company, but is adapting and responding to those challenges in a realistic and timely manner. Warren Buffett is known to look for companies that have both strong management, and a sustained competitive advantage. Make sure, to the best of your ability, that the people you are trusting with your investment money have proven themselves as effective decision-makers, and leaders within their industry. Always look for businesses with strong management and sustainable competitive advantage. Value investing strategies are not for those investors looking to move quickly in and out of stocks on a daily, or even an annual basis. When you invest in value companies, you must invest for the long-term. In fact, Buffett believes that all short-term price movements in the stock market should be disregarded by value investors, beyond using them as an indication of the best times to potentially pick up some new holdings. Rather than watching daily stock prices, Warren suggests spending that time keeping an eye on the operational performance of the companies in your portfolio. And rather than allowing market volatility to lead you into hasty and emotional investment decisions, you should continue to base your opinions of a company’s value on facts. Learn to look at market downturns as buying opportunities, but buy only when a rational study of the data tells you it makes sense to do so. Almost as difficult as knowing when to buy your stocks, is figuring out when it’s the right time to sell them. For Buffett, that time often turns out to be never. Warren firmly believes that if a company is performing well, with no indication that its future growth potential has diminished in any way, then investors should hold onto their stock indefinitely, regardless of how high its price may have risen. Sometimes however, stocks can become overvalued for the wrong reason, and this can be a warning that a severe crisis is in the works. If a company’s revenues, earnings or growth projections begin to drop off, but the market price of its shares remains unchanged, the stock can become overvalued since its price no longer accurately reflects the company’s intrinsic value. In this way, overvaluation can signal that a business is in trouble. While this is unlikely to be the case for the thoroughly researched, mature and stable companies in your portfolio, it is an important reason none-the-less to keep a watchful eye on your stock holdings, and to understand when selling is the right option. While the best way to deal with mistakes is to avoid making them in the first place, odds are good that you will make at least a few along the way. One of the attributes that sets successful investors like Warren apart from unsuccessful ones is the ability to learn from a mistake, so that it never gets repeated. If you can learn to understand yourself as an investor, arm yourself with the best knowledge possible, pay attention to what successful investors say and do, and always give yourself a safety buffer, you may still make the occasional blunder, but you will probably survive to invest another day. Developing an effective value investing strategy requires that you think and behave like an investor, rather than just a speculator. Benjamin Graham believed that understanding this difference was critical to becoming successful in the stock market, since both approaches can produce positive results, but only when applied correctly. Value investing relies heavily on being able to recognize and buy into a company’s intrinsic value, and while speculators concern themselves only with short-term stock price movements, investors must learn to view themselves as long-term business owners.